On March 31, 2018, a new movie theater opened in Dakar, Senegal. Called Complexe Cinématographique Ousmane Sembène, the name of the theater honors Ousmane Sembène, the famous Senegalese filmmaker hailed as the “father of African cinema.” The work of Ousmane Sembène and others in the 1960s and 1970s marked the height of Senegalese Cinema. 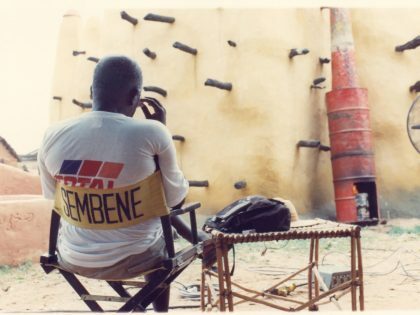 However, eleven years after Sembène’s death, for most Senegalese, cinema hardly exists. In recent decades, Senegalese cinematic productions have decreased in number and in Dakar, there is a startling lack of movie theaters. Once home to up to eighty cinemas and screening rooms, in 2016 there were only four cinemas left struggling to survive. The new Complexe Cinématographique Ousmane Sembène has been billed as an attempt to remedy this problem. One of the first productions screened in the new theater was the Hollywood blockbuster Black Panther. The theater also has plans to screen the works of famous Senegalese and African filmmakers. However, the program manager of the movie theater, Nasser Ayadi, has complained about the lack of new African films to show. He laments that “if we wait for the new films from the continent, the frequency will be less than American, Indian and French films.” Ayadi also stated that although the theater desires to show African films, it is according to him more difficult to obtain the rights for African films than for American films. 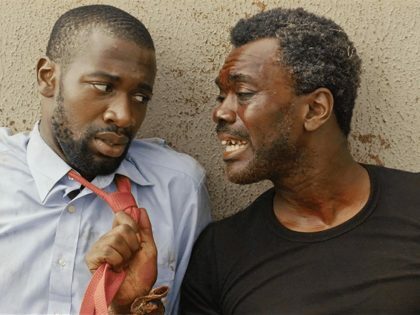 The Complexe Cinématographique Ousmane Sembène is not the only attempt to bring cinema back to Senegal in recent years. In 2015, an “inflatable” cinema building opened on Dakar’s glitzy Sea Plaza Mall. The “inflatable” building is intended to be temporary while a permanent building is built nearby. Sea Plaza Cinema, contrary to the Complexe Cinématographique Ousmane Sembène, appears to have no intention of playing Senegalese films. They instead fill their schedule with American films. Meanwhile, Dakar’s original cinemas have slowly shuttered in recent years due to lack of funding, low revenues, and high costs. Especially difficult for old Senegalese cinemas was the change from analog to digital. Many of them do not have the digital production equipment necessary to screen new films. Therefore, instead of experiencing films in the theater, most Senegalese are watching videos and television. Similarly to cinema, entertainment television in Senegal has long been dominated by foreign media; in particular, Latin American telenovelas dubbed into French. Recently however, there has been an increase in local Senegalese television productions produced in Wolof. Although French is the official national language of Senegal, Wolof has rapidly spread in Senegal to become the lingua Franca of everyday life. Around forty percent of the Senegalese population is from the Wolof ethnic group, however, around 70 percent of the population speaks Wolof. Dinama Nekh shows the desires of many Senegalese while also providing an image of what many Senegalese might consider the ills of modern life. In particular, the show denounces what is seen as the immoral consumerism of young urban Senegalese women. The production of Dinama Nekh also touches on other issues surrounding cinema and video in Senegal including, copyright, scarcity of funds and French involvement. The show revolves around the story of two women, Maimouna and Daro. They are both single and unemployed and make their money through what is called in Wolof mbaraan. The word mbaraan functions as both a noun and a verb. The verb “mbaraan is to have multiple romantic partners, while a mbaraan is a male partner from whom one is extracting material resources.” In Dinama Nekh, each episode revolves around Maimouna and Daro scheming to get money and material benefits from different men. These schemes usually involve inviting the men to Maimouna’s apartment and dressing up in glamorous clothing to catch the male suitors’ attention. These schemes do not involve actual romance or sexual relations, but the anticipation of these things among the men often lead them to provide Maimouna and Daro with money. Frequently in the show, these arrangements fall apart and cause more problems for the women. For example, in episode one from season one, Daro overhears a man talking about large sums of money and international soccer in a store. So, she invites the man over to Maimouna’s apartment. Both Maimouna and Daro question him about what international soccer club he works with. They ask if it is French, Italian or British. However, he finally tells them that it is a Senegalese soccer club. Maimouna and Daro are visibly unhappy but they persist in asking him how much money he makes. The man states 150,000. Daro becomes excited and asks him again just to make sure. However, the man corrects her. The number is not in euros it is in West African Francs (CFA). One hundred and fifty thousand CFA is only around 230 US dollars. Daro becomes angry and Maimouna drops the tea she had been holding. After the revelation that the man does not make that much money, the women quickly usher him out of the apartment before he can even drink anything. Maimouna and Daro are only interested in the man because of his potential to provide them with money and material benefits. The women treat him like he is someone important inviting him over and providing him with a selection of drinks, but when they find out he cannot provide them anything, they are done with him. This first episode sets the tone for the many episodes to come which revolve around the same theme. Men, especially Senegalese think they can have everything with money. And often when they want to flirt with a girl they put their credit forward… They think money can buy everything and women benefit. This is what we want to denounce in the series. It’s a social satire. Niang claimed the show comments on contemporary Senegalese society, and it does reflect certain situations. However, Dinama Nekh also represents anxieties. Maimouna and Daro’s singleness, their refusal to work, their ownership of their own apartment, and their desire to consume is not only meant to show women that this lifestyle is untenable, it also shows the real fears about contemporary culture in urban Senegal. The show reflects anxieties about the new abilities and status of women in Senegal in the 21st century. Niang has often criticized the Senegalese government for not supporting video production. He says he wants to “send a message to the Ministry of Culture and the President of the Republic to tell them that through our films, we promote Senegalese culture and contribute to intellectual debate.” He claims that despite its popularity Dinama Nekh and other shows he has worked on have made little to no money. In fact, the release of season three was delayed, much to the chagrin of many Senegalese, because of a lack of funding to produce the show. One problem Dinama Nekh has is that it is fully available online. All four seasons are on YouTube. The show makes money primarily through advertisements. According to Niang, the television channels that broadcast their show in Senegal do not pay the producers any money. This issue of copyright enforcement is both present in Senegal and many other African countries. Dinama Nekh reveals insights into both the production of independent Wolof video in Senegal, but also into the local voices and concerns of the Senegalese community. 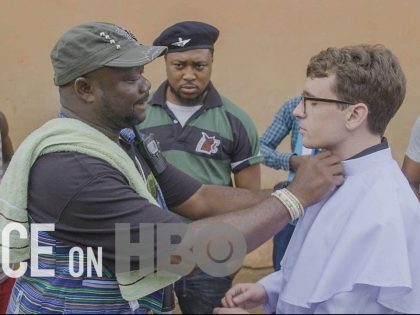 These are concerns that are often not heard or seen in the “Franco-Senegalese” cinematic productions which often receive more global attention. It is to these small-scale Wolof language productions that scholars and others should look to understand Senegalese contemporary lives in the 21st century. 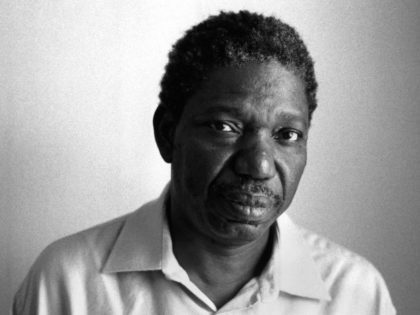 Burkinabe filmmaker Idrissa Ouédraogo was a singular talent in African cinema. His films championed marginalized people and cultures.